I might spend the night in a haunted house. I'd tour an old asylum. I don't think I want to be a near an old prison. Don't know why. Something about them seems extra creepy. 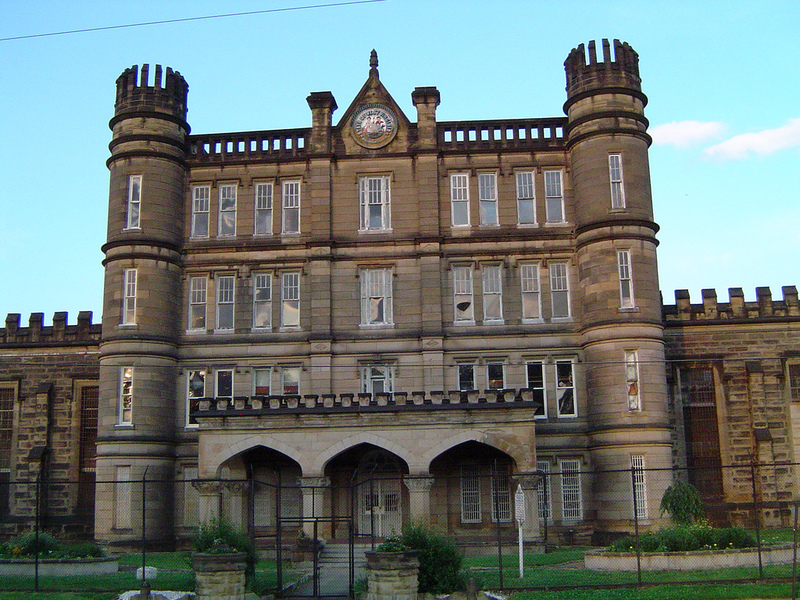 "Moundsville had the dubious honor of being on The United States Department of Justice's Top Ten Most Violent Correctional Facilities list during its 119-year history." Between 1899 and 1949, 85 men were hung and 9 were electrocuted at Moundsville Penitentiary. The hangings often drew crowds of locals. One top of this, the deplorable conditions, rampant violence and harsh punishments from guards led to the deaths of a number of inmates. Hauntings were reported as early as the 1930’s. Guards who kept an eye out for possible escapees would see an inmate walking along the grounds. When they investigated the area, they never found anyone. It's said the penitentiary was built on the leveled grounds of a Native American burial site. 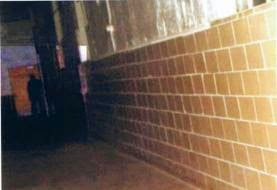 Then there's the “Shadow Man” who lurks in the darkness of the halls and prison cells. No one knows who it would be. Many believe it's a ghost of a former guard. Others believe this may be an inmate. The "Shadow Man" was supposedly photographed. The image was debunked by the paranormal investigators TAPS. Not everyone is convinced. According to research, the prison sees a number of strange occurrences besides ghost sightings. One of which happens at the entrance gate. 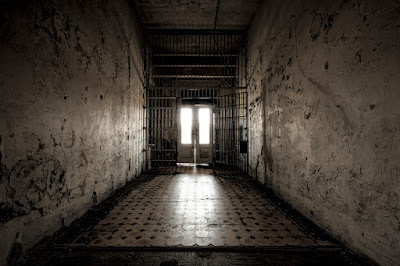 Supposedly, the circular cage turns periodically by itself, giving the impression that the spirits of criminals are still arriving at the prison.